Amsterdam boat tours come in many different froms. The most omnipresent are the large tourist boats. They come with or without food on board, covered or roofless and either for a short trip or with a full day hop on- hop off arrangement. Alternatively, you could rent your own boat with or without a skipper, ranging from a cheap and simple pedal boat up to a high end classical saloon boat with exclusive catering. As you will find out on this website, each of these tour types has its own charm. 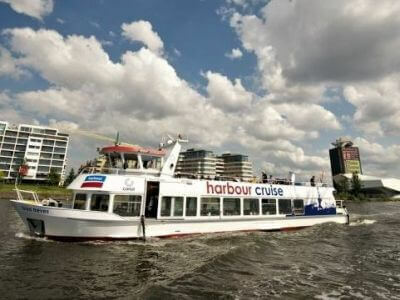 Please check the overview below to get an impression of the wide range of different Amsterdam boat tours you can choose from. 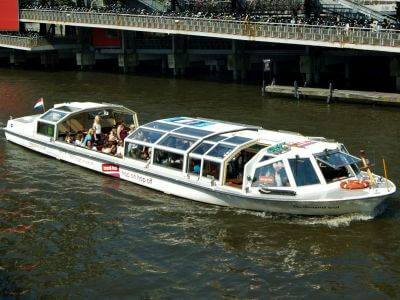 If there is a type of boat tour that appeals to you, you can click on it for more specific information. 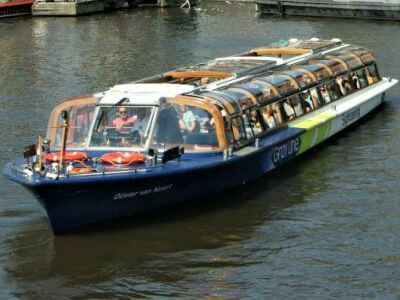 This includes a description of what to expect, an overview of the pros and cons and a list of reliable companies offering that type of Amsterdam boat tour. 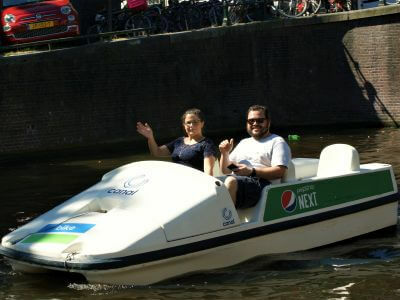 Amsterdam boat tours come in many different froms. You could go for one of the omnipresent large tourist boats. 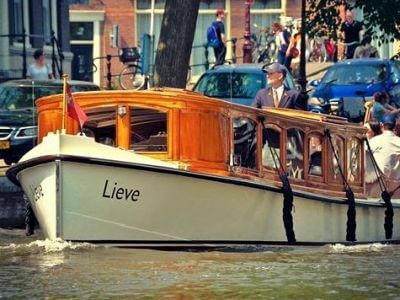 Or you could go for a more adventurous, more original, longer or more exclusive alternatives: think of anything ranging from a basic pedal boat or a small electric rental boat up to an exclusive classical saloon boat with fine dining on board. 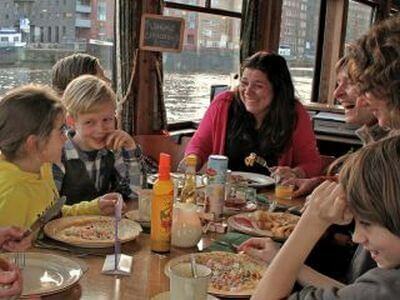 Below you will find a comprehensive overview of the different Amsterdam boat tours on offer. For more specific information -like a short description, the pros and cons and reliable tour companies- just click on the tour types that appeal to you. 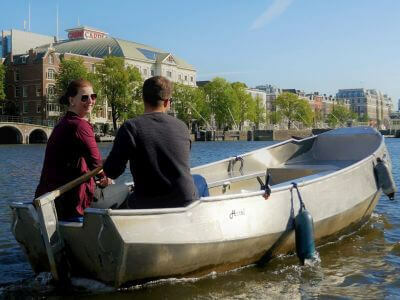 Need some help finding the best Amsterdam boat tour for you? Do you find it complicated to make your own choice? 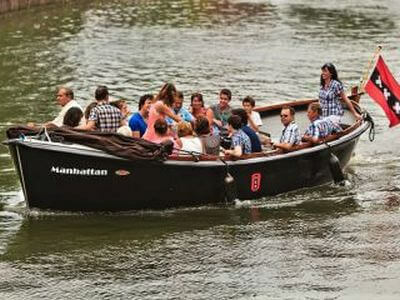 The we recommend to consult the Amsterdam Canal Tour Selector or to go directly to the Best Amsterdam Boat Deals.